Stephen has been actively involved in the professional recruitment sector since 1987, owning and running recruitment agencies since 1993. He is a Fellow of the Institute of Recruitment Professionals. His current expertise is in online recruitment, where, in 2000, he established the UK’s first comprehensive online portal to every recruitment resource, including recruitment agencies, employers, consultants, job-board and publications – www.alljobsUK.com. 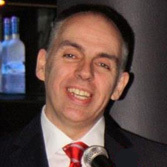 Stephen also devised, and has continued to run the National Online Recruitment Awards (NORAs) since 2001.